Your Cosmetic Dentist Can Boost Your Self-Confidence! We live in a world that is all about telling us we’re not good enough. If we don’t have the latest smartphone or fit into that pair of skinny jeans, we need to make changes, right? Wrong. 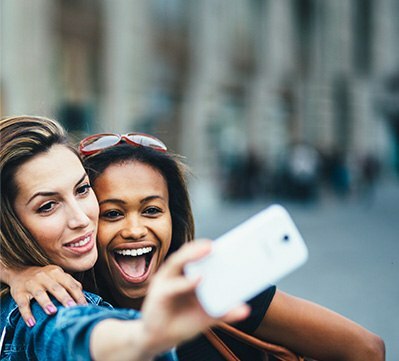 Spending tons of money on the latest fads is exhausting, and it probably won’t make you feel much — if any — better about yourself. Why not invest in something that never goes out of style and that will make you feel like a million bucks? With help from your cosmetic dentist in Brownstown, you can be the owner of a smile that just won’t quit. Your kids don’t need a large bed or a large meal, but while we kid-size most aspects of our children’s lives, we don’t always know how to ask their doctors and dentists for help with this task. 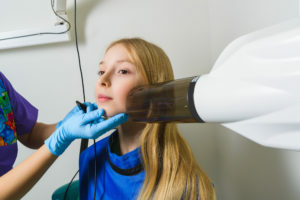 Recently, research has shown that kids may be receiving an adult-sized portion of dental radiography (x-rays). When you choose a trusted children’s dentist, make sure to ask them about their x-ray practices for young patients. Keep reading to learn more about what to expect. For decades, metals such as gold, silver, and various alloys have played an important role in dentistry. However, the oral healthcare field is moving forward. 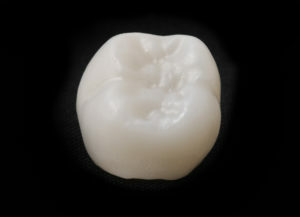 Now, it is possible to perform many procedures without the use of any metal at all. 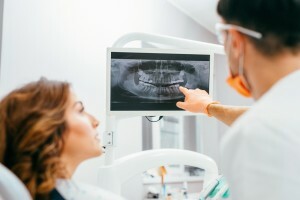 What does metal-free dentistry entail, and how can your dentist in Brownstown use it to help you achieve the smile you’ve always wanted? As the summer months approach, you want to look your very best as you are surrounded by friends and loved ones enjoying the great weather. Unfortunately, the appearance of your teeth can put a damper on your festivities. 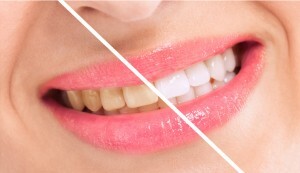 Tooth discoloration can quickly cause your self-esteem to fade. As a result, you might find yourself avoiding social engagements. Thankfully, you can restore your bright smile with at-home teeth whitening in Brownstown. At Ultimate Dental, Dr. Sammi Hadad will help you revamp your confidence. Finding a “Dentist Near Me” Shouldn’t Be Left Up to Google! During the school year, it can be difficult to find time for your family to visit your dentist. Between making breakfast and packing lunches, getting the kids to school on time, and oh—not to mention that you actually make it to work on time, the week can seem like a blur! But, now that summer break is around the corner, it’s the perfect time to get all your loved ones the dental care they need. If you’re in need of a new dentist, don’t waste your time surfing the web for a “dentist near me,” simply review what Dr. Sammi Hadad has to offer at Ultimate Dental! Want to Look Your Best? Visit Your New Brownstown Dentist! Your current dentist is providing adequate care, but do you really just want to settle for adequate? Why accept okay dental services when you could receive the ultimate dental care from a new Brownstown dentist, Dr. Sammi Hadad. You deserve a dentist that is willing to go above and beyond to make you feel comfortable, provide you modern dental services, and puts your convenience first. Ultimate Dental can do just that for you and more when you decide to become a regular patient at our office. There’s nothing you love more than relaxing with some popcorn and a movie. Popcorn becomes your enemy however, when you take that bite that breaks down you old filling. The next day you’re told you need a dental crown, and you wonder how you’ll ever work that into your busy schedule. The last time you had a crown done it took 4 weeks to complete and multiple appointments because your temporary crown kept breaking or falling out. Have you heard about same-day crowns in Brownstown? You take great pride in ensuring your family maintains healthy, beautiful smiles. You make sure everyone brushes, flosses, and eats a healthy diet. However, home oral hygiene habits are only half of the care your family needs. Your family needs a great family dentist in Brownstown. 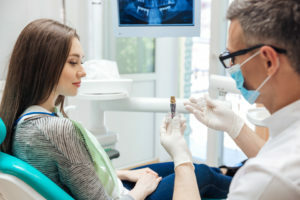 The American Dental Association recommends everyone over the age of two visits their dentist twice a year for preventive cleanings and checkups. But, this can create a certain challenge. You need a dentist who can meet the needs of each member in your family through all stages of life. At Ultimate Dental, we treat patients of all ages, offering the services your family needs from one convenient location.